<img class="alignleft size-medium wp-image-154" src="http://blog.storyplanner.com/wp-content/uploads/2016/05/congratulations-typewriter-card-3988-0-1435322087000-300×300.jpg" alt="congratulations-typewriter-card-3988-0-1435322087000" width="300" height="300" srcset="http://blog.storyplanner.com/wp-content/uploads/2016/05/congratulations-typewriter-card-3988-0-1435322087000-300×300.jpg 300w, http://blog.storyplanner.com/wp-content/uploads/2016/05/congratulations-typewriter-card-3988-0-1435322087000-150×150 potenzmittel im vergleich cialis bestellen.jpg 150w, http://blog.storyplanner.com/wp-content/uploads/2016/05/congratulations-typewriter-card-3988-0-1435322087000-200×200.jpg 200w, http://blog.storyplanner.com/wp-content/uploads/2016/05/congratulations-typewriter-card-3988-0-1435322087000.jpg 520w” sizes=”(max-width: 300px) 100vw, 300px” />Congratulations to Alice Russo whose well structured plan for hostage drama ‘Real Eden’ wins our screenwriting competition and a Script Hackr online course.The runners up were Poppy Damon with ‘She Was the Universe’ and Yasmin Howard-Spin with ‘Spark,’ they both win a year’s premium subscription to Story Planner. The standard of entries was high, and we were impressed with many entrants who successfully showed they’d crafted an interesting and well put-together story in a short form. Many writers chose to use our plan for classic three act structure with the Save The Cat beat sheet also proving popular. We’ll announce our next competition very soon, and thanks to everyone who entered this time. It was certainly a difficult task to pick the winners when so many ideas showed such promise. Congratulations once again to Alice Russo for the win. Simple screenwriting competition – with a great prize! Our latest Story Planner competition has a screenwriting theme, and a great prize of a downloadable Script Hackr course created by the guys at Script Reader Pro. This screenwriting course teaches the fundamentals of screenwriting in 7 practical modules, and it’s bound to inspire better writing. The competition is as easy as can be and completely free. Simply send a screenplay idea outlined using any plan from Story Planner’s Screenplay Structure category. You might choose a <a href="http://www cialis preissenkung.storyplanner.com/story/plan/save-the-cat-beat-sheet” target=”_blank”>Save the Cat!® beat sheet, you might like to use traditional 3 Act Structure, or perhaps you like a flexible structure with Index Cards method? Any plan is eligible, and the script idea that captures our eye will win. We’re looking for a screenplay concept with a well structured story structure and an intriguing idea. Save and edit the story plan as much as you like, and when your script outline is ready choose ‘Export’ and ‘Email’ and send the plan to the email address competitions@storyplanner.com. The deadline for entries is May 1st. 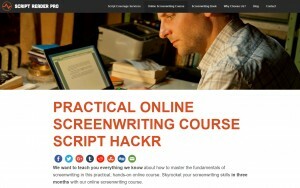 There’s a first prize of a Script Hackr course worth $299, and two runner up prizes of a year’s subscription to Story Planner. Good luck with the competition and happy writing! Here are the simple rules to the Story Planner screenplay plan contest. A story plan from must be submitted to competitions@storyplanner.com before midnight GMT on May 1st 2016. The prize of a Script Hackr downloadable course plus year’s subscription to Story Planner will be given to the best entry in the opinion of the judges. There will be two additional runners-up prizes of a year’s premium subscription at Story Planner. We will not publish any of the created plans and the full copyright for all submitted ideas remain with the author. There is no minimum or maximum word length, but entrants should bear in mind that all Story Planner plans are devised to showcase a story’s structure in a brief format. The judges decision is final. And we hope you find it a useful exercise to think about your story with our online plans! Note: Thanks to all writers who entered our first Story Planner competition. Well done to Anna Fusté, the winner who wrote an atmospheric plan for her story, ‘The Cure.’ Our latest contest has now launched and seeks a screenplay plan, check the details here screenwriters! We’re going to offer regular competitions at Story Planner. We feel the planning stage of writing a novel or story is important, so we’ll be offering many small, free, competitions for writer’s using the plans at the site. The first will be a competition for the best plan using the Pixar ‘Once upon a Time’ plan. This is my new favourite plan. I think this planning method is so easy that it works even if you don’t think of yourself as a ‘planner,’ or have no interest in story structure. The Pixar story spine is a ‘fill in the blanks’ way to outline basic structure. It’s based on a formula that’s stood the test of time and can be seen in the structure of many classic stories. Once upon a time_____ And every day_____ Until one day_____ And because of this_____ And because of this_____ Until finally_____ And ever since that day_____. This is the shape of many a fairy tale, and follows traditional three act structure, although it’s presented in a way that avoids knowledge of turning points and acts. No one seems to know who first devised this story spine, but Pixar Story Artist Emma Coats tweeted it as one of 22 #storybasics storytelling tips from the studio. You can read the full list of Emma’s writing tips here. There is plenty of great advice in that list. As a story structure geek I will explain how it fits three act structure, with those beginning, middle and end acts. You don’t need to know this to use the plan well, but I think it shows why it successfully structures a story. Act 1 : The set-up, the character at the start of the story. End of Act 1 : The turning point. Act 2 : Complications on the character’s journey to reach a goal. End of Act 2 : The turning point. Act 3 : The resolution, the goal won or lost and the character changed. I think this planning style works well for any story, from a short story to a novel, or a screenplay. That’s because it follows the character journey, and leads from one thing to the next in a satisfying way. <img class="alignleft size-medium wp-image-122" src="http://blog.storyplanner.com/wp-content/uploads/2016/02/2016-02-18-226×300.jpg" alt="Pixar story spine" width="226" height="300" srcset="http://blog.storyplanner cialis online.com/wp-content/uploads/2016/02/2016-02-18-226×300.jpg 226w, http://blog.storyplanner.com/wp-content/uploads/2016/02/2016-02-18.jpg 253w” sizes=”(max-width: 226px) 100vw, 226px” />So all you need to do to enter our competition is to write a story plan using the Pixar Once Upon A Time template. You can use it for a novel, screenplay, or short story, either one you know well, or try to use it to develop a new idea. Or you can try a few, there is no limit on the number you can enter. Save and edit the plan as much as you like, and when you’re ready to enter the competition choose ‘Export’ and ‘Email’ and send the plan to the email address competitions@storyplanner.com. The deadline for entries is March 13th. There will be a prize of a copy of the Pixar Storytelling for the winner, plus a year’s free subscription to Story Planner. I will be very honest, the site is new so we’re not expecting too many entries… BUT if you think this a good plan, or like the competition, we’d appreciate you sharing news of it on social media. If we get ten tweets or facebook posts about the competition then we’ll be able to give away three prizes not just one. So, what are you waiting for…? To find the Pixar Once Upon A Time plan click here. There are just a few rules and ‘small print’ details. A Once Upon A Time story plan must be submitted to competitions@storyplanner.com before midnight GMT on March 15th 2016. The prize of a Pixar Storytelling book plus year’s subscription to Story Planner will be given to the best entry in the opinion of the judges. Two additional prizes will be added for every ten social media shares spreading news of this competition and/or the Once Upon A Time writing plan. We will not publish any of the created plans unless the author gives permission for this, and like every plan devised on the site the full copyright for the idea remains with the author. There is no minimum or maximum word length, but entrants should bear in mind that this plan is devised to showcase a story’s structure in a brief format. We want story planning to be as easy as it can be, so we’ve made a few changes to the Story Planner site. Most of these changes were suggested by you, the writers who use our site. We added features to guide you to choose the right plan for your writing, a step-by-step planning system of our own, and much more. We’ve also added a blog (you’re reading it now!) this means we can tell you what’s going on, and detail tips for planning novels, short stories and screenplays. We’ll also offer regular prize competitions for everything from log lines to story outlines. Here’s a round-up of all the changes at Story Planner. We’ve added a forum for chat about all things writing, but we think the neatest thing is that you can choose to make any of your writing plans public to publish them on the forum. This means that you can seek feedback on your plans from friends or fellow writers. Plans are still private by default, but now every plan has a ‘make this public’ button, for those times when you want advice. I know I’m looking forward to reading plans and sharing thoughts on novel act structure or screenplay beats. Check out the new forum here. Some writer’s told us there were too many plans and said they didn’t know which one to choose. So we’ve added filters so writers can sort plans more easily. You can now filter plans by popularity, difficulty, whether they suit a new idea or a developed one, or how long they take to complete. We’ve also made ‘Story Planner Helper’ a check-box guide to lead you to the right plan. Just answer a few simple questions and Story Planner Helper will show you the most suitable plans for your project. Check it out here. If you’re writing a novel we’d love you to try our Novel Launcher system. It offers 6 steps which take you from the initial idea, to exploring your concept and characters, and will finally guide you to create a full story outline. You’ll find this here. You’ll spot a few new categories. The ‘Ideas’ category offers plans to help you note and store your ideas. 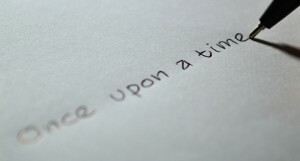 The non-fiction category aims to help with everything from articles and essays to blogs and press releases cialis 25 mg. You should also check out our new Pixar ‘Once upon a time’ story plan, we think this will be very popular, it’s such a quick and insightful way to plan any story. We also know planning with Index Cards is popular, so we made a plan that replicates planning using cards and lets you reorder your plot points. Try the Index Card plan here. There are many more smaller tweaks. There’s a new export option so you can email a story plan to your inbox, or to a friend. We’ve added links to relevant books to give further information. We’ve also changed our logo. We did like our old book logo, but many screenwriter’s use the site and a novel doesn’t fit their writing style! We hope you like all these changes, and find they make story planning a little easier. Of course we’re not done yet. If there’s any new feature you’d like to see at Story Planner let us know, there’s a ‘Suggestions and improvements’ forum thread waiting for your ideas. Good luck with your writing plans, and happy story planning!